Skydive Spaceland is home to several medal-winning and up-and-coming competitive teams, including some world record holders! If you are interested in forming a team at Skydive Spaceland, we’d love to talk to you! Check out our team jump rates below to start. 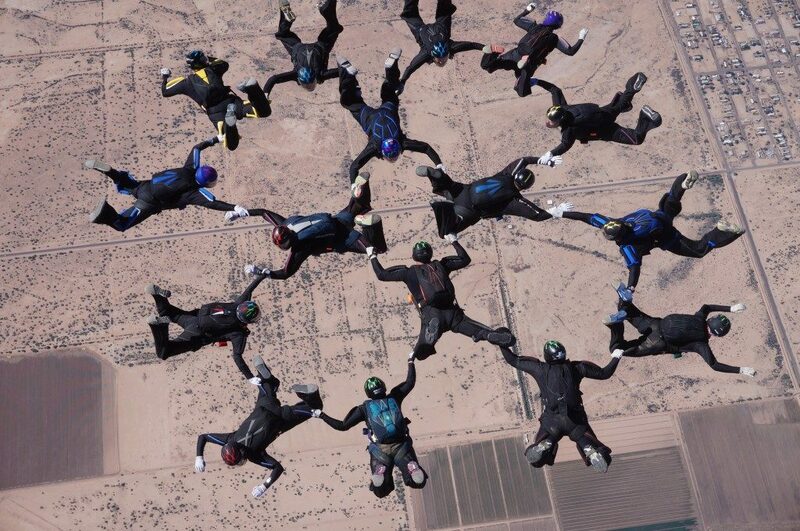 Dallas Disturbance will field additional teams in 4, 8 and 10-way skydiving at US Nationals. Mission: to continue to change how 16-way is trained and disturb the staid National standings. InterSpeediate is a 4-way formation skydiving team birthed in 2017 from a Twin Otter amidst wind, jet fuel, and heaps of well-timed grips. Stay tuned for more info on this year’s teams! Ready to get started with your team? Awesome! Please fill out our online team registration form, and we’ll be in touch soon! Email Ben if you have any questions.